After some public criticism by tech giant Amazon, the FAA has now granted them permission to resume testing drone deliveries. Amazon’s “Prime Air” delivery service aims to make deliveries within 30 minues of an order being placed. Amazon was one of 30 exceptions the organization granted exceptions to this week, with other companies looking to film video or evaluate agriculture. Amazon will now have the ability to fly drones up to 400 feet in altitude and at speed of up to 100 miles an hour, but the drone must remain within sight of the remote-control pilot or an assigned observer. The drones should also stay 500 feet away from anyone not involved with the research. In the event that the quadcopter loses the connection with its pilot or GPS signal, it must automatically fly back to a safe area. 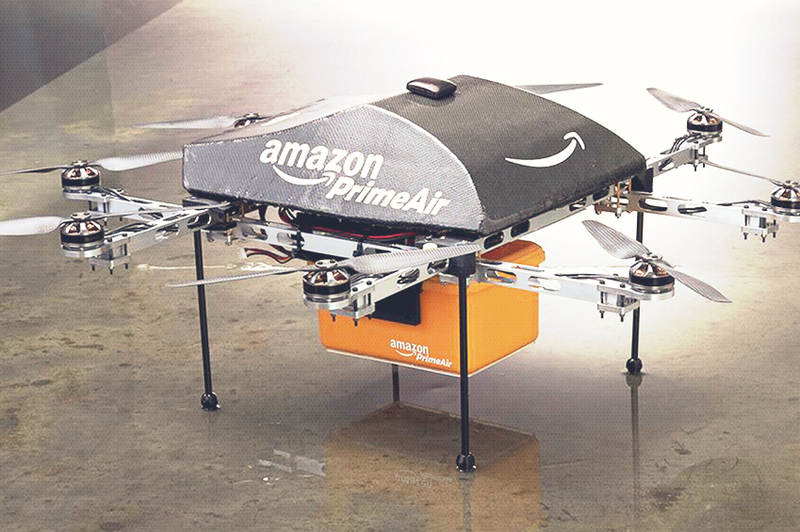 Amazon plans for their delivery drones to fly around 50 MPH and carry packages of up to 5 lbs. The FAA becoming quicker to make exemptions is great news for the drone industry. The FAA has also just announced that they will now give out “summary grants” to commercial petitioners if the agency finds their request for drone use is similar to previously granted requests. This means those applying for a commercial flight exemption doing something common like filming video or collecting aerial data (like agriculture) will get an approval faster.